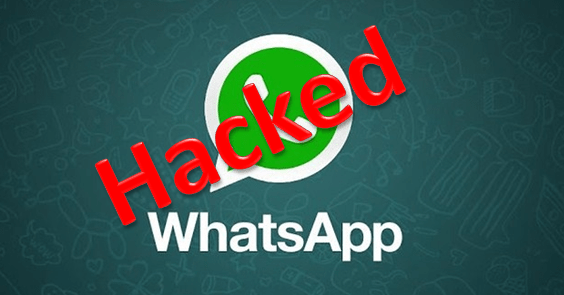 Hack WhatsApp Account with Mac Address Spoofing: Hello Guys, As we all know Whatsapp is a most well liked messaging app on the social media platform. Billions of people are the use of this utility all over the arena. Nearly every person is using WhatsApp account. In WhatsApp, you’ll be able to share your photos, videos, recording, location and more factor simply. Everybody makes use of this WhatsApp message on their phone regardless of which os you utilize. You’ll only use Whatsapp on Android, iPhone, Blackberry, Home windows smartphones. By way of following below steps you’ll be able only to hack and use your mates or some others WhatsApp account. There’s three popular way for hacking Whatsapp account. We already discuss one method in our earlier submit and 2d method we will be able to discuss in this article, For the 3rd method you wish to have to pay some cash so we will be able to discuss the 3rd method in this article. We speak about only second approach because of it loose and workable, so let’s start. At the start cross to play store, search Whatsapp Messenger and uninstall Whatsapp out of your device. Be sure to that your Whatsapp account will completely uninstall from your android device. Note – If you’re worried about your Whatsapp account so doesn’t worry about it, you can simply reinstall your Whatsapp account whenever you want. Get the victim’s android phone which you wish to have to access. You wish to have the victim;s phone for few mints for the hacking process. We don’t know which OS platform is victim used. So below we give you all the smartphone platform, with those you will simply to find MAC Address from the victim’s device. Iphone : Go to Setting > General > About > MAC Address. After discovering a MAC deal with, it’s important to save MAC deal with at the paper or the place you wish to have. You should definitely save proper MAC deal with. Get your mac address from your smartphone and save it for future when you wish to have to access your own Whatsapp account. Now you wish to have to spoof your Mac address. Spoofing is allowed your mobile to look like as victim’s phone. After spoofing you’ll get entry to Whatsapp account however now not your’s. You’re going to access victim’s Whatsapp account. By way of spoofing app, you’ll be able to simply change your MAC address. After installed spoofing app it’s important to change your MAC address with victim phone’s MAC address. After Spoofing the MAC address &Installing Whatsapp Messenger on your device, you’ll be able to easily access the victim’s Whatsapp account just follow a few more steps. Open Whatsapp messenger and enter victim’s mobile number. Now take victim’s phone for few 2d because, after entered victim’s number, it’s important to get Whatsapp confirmation code from the victim’s phone. After getting the code fill it into Whatsapp on your phone and delete confirmation message from victim;s phone. Now you’ve gotten successfully hacked victim’s Whatsapp account. I hope, you’ve gotten enjoyed this article. If you’ll face any problem relating to this article so don;t be shy feel free and comment on under comment field. We will be able to solve your issue or problem as soon as possible. Stay tuned for more updates.